Additional Christmas Party Night added at Key West Bar & Grill on Bournemouth Pier! 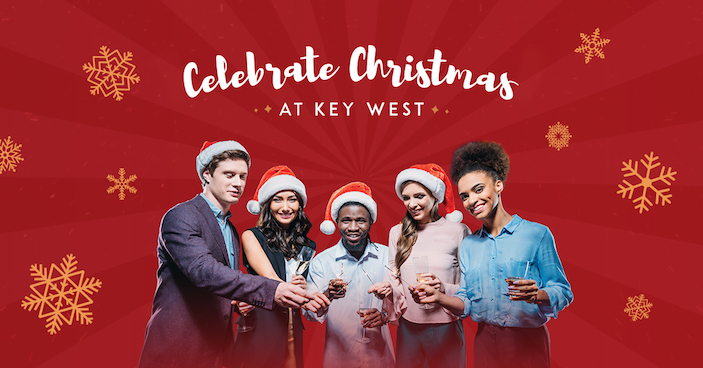 Key West Bar & Grill on Bournemouth Pier has organised an additional Christmas ‘Party Night’ for Friday 7th December after their 15th December ‘Party Night’ date sold out! They are urging people to book early and not miss out on this additional party opportunity. Taking place on Friday 7th December, tickets are available at £34.95 per person. This includes a three course Christmas Dinner, a DJ & disco, table decorations and crackers. 7pm arrival, 8pm meal service, followed by a disco & dancing until late. Would-be party goers are urged to secure their bookings by calling 01202 237 916 or emailing keywest@thebournemouthpier.com. All bookings over 20 people receive a free bottle of prosecco.